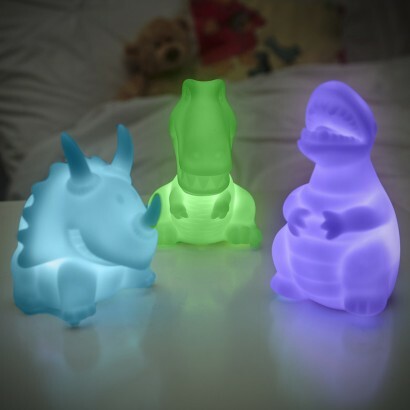 A three pack of the most adorable dinosaur night lights you've ever seen, this pack of colour change night lights includes a triceratops, a t-rex and a stegosaurus all lit by colourful LEDs to help soothe little ones to sleep at night. 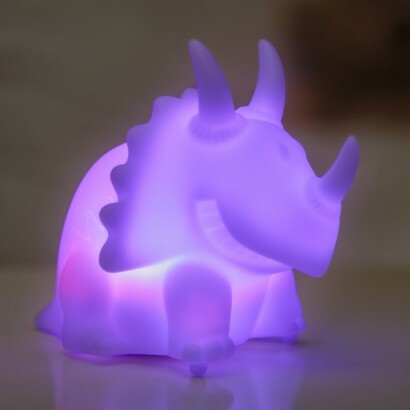 Battery operated, these sweet little dino's can be placed anywhere in your child's room and because they're lit by LEDs they remain cool to the touch making them safe for little hands. 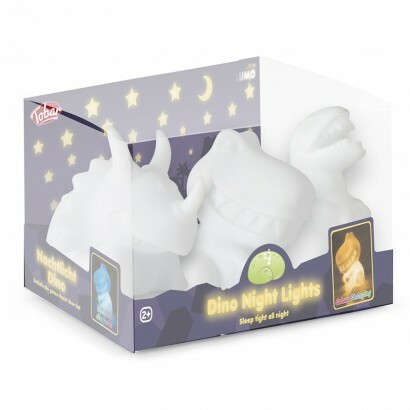 A simple on/off function allows you to gently illuminate your child's room at night with a trio of friendly faces and a comforting colour change glow. 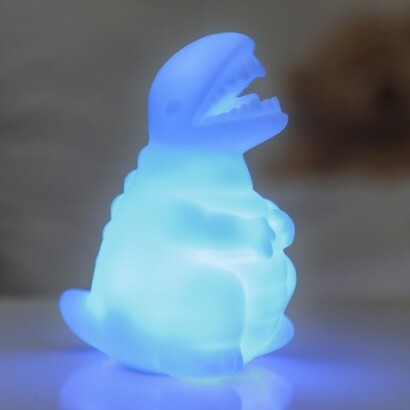 Bought for my five year old son for Christmas....he absolutely loves them! Good size for him to manage. Nice and solid...he loves banging them together so that they all go red! Very pleased with my purchase 5 stars!